While the Wii U Virtual Console hasn't yet served up all the downloadable treats that we desire, it has thrown up EarthBound and Game Boy Advance games. Nintendo of Europe's keen for you to remember there are a host of NES games, too, and has announced a campaign to encourage you to pick up more of these retro gems. Following the recent promotion to save money on both NES Remix and NES Remix 2, Nintendo of Europe is preparing to offer four weeks of Virtual Console discounts for those that own either of those eShop titles. Naturally the focus is NES games, and seven retro titles will be discounted by up to 50% in this week's update on 24th July, as shown below. Promotions like this aren't rare, of course, with Nintendo of America hosting an "8-Bit Summer" last year and Capcom running a "Mega May" in the same region. Are any of you Europeans tempted to pick up some NES games on the cheap in the next month? I'd be interested in something the other way around. The more VC games you own, the cheaper NES Remix is. How's about the both of them for a cheap price, I want both and have neither! Glad to see Nintendo increasing promotions and sales on 1st Party products, we have had quite a few decent ones in the last couple of years. I was planning to get 2D Zeldas on 3DS when I finally get a 3DS but this offer is tempting. Too bad I already own Super Mario games, metroid etc. Of topic, I just bought A Link Between Worlds and AC New Leaf for 10 euros each brand new. Still waiting for the right 3DS SE for me. @outburst Care to shed light on where you got them for that price? @lividd3ad Agreed. I don't want to pick up Nes Remix to avail of these promotions. But I would have done it the other way around for definite. Somehow I knew Urban Champion would be on this list, but that game isn't even worth half its normal price. I have the only ones that I'd care to buy on the 3DS VC already. I'll be sure to buy NES Remix once that goes on sale though. I was w8 for something like this, I have 5-10 NES games on my list for buying. maybe excitebike but that's probably it. Thanks Nintendo of Europe, this makes up for the inability to play in the Miiverse Summer Camp haha. So there is 28 games - 4 weeks - 7 per week. (That implies all of them will be in the promotion). It also says upto 50% so probably some of them won't have as big a discount. I'm much more tempted to buy NES titles at that price. I may even be swayed to buy all of them on impulse as the usual asking price of $6.50 is rather ridiculous, but I wouldn't mind paying $3.25 apiece. The $10.40 that they charge for SNES games is just obscene though. Nothing interesting for me among these 7 titles. Either I already own them in one way or the other, or they are not worth half their price. 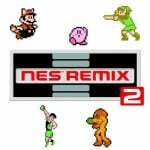 But if something like SMB 3 turns up the next weeks, I may consider getting one of the NES Remixes. Wouldn't mind seeing this promo make it to the States.......I might pick up Zelda & Dr Mario for half off......or just wait till they are Club Nintendo rewards. It's in a local Super Store just outside Torino (Saturn store in Orbassano). I guess you can't get it unless you're near Turin. I went there to buy W101, Twilight Princess, SMGalaxy 2 and NSMBWii (Selects) at 20% discount (ticket) but only TP is available. Then I noticed a handful 3DS games at 5-10 euros each (no FE Awakening sadly and the others aren't on sale or doesn't interest me). I paid 8 euros each and not 10 as I've mentioned earlier since I have a 20% discount. Too bad I'm not into eBay, I thought of buying all the copies. @PvtOttobot yeah I'm in the same boat. I want both remixes, but the current 30% discount on Remix 2 isn't quite the bargain I'm waiting for. Got most of these on 3ds and just not really interested in paying for them again again..
Great! Ill get another copy of Zelda 2, SMB3 and Excitebike when its their turn to get a discount. Hope US gets this deal! Where is Ice Climber? No Ice Climber on sale = No buy! This is a cool idea, but as a NA customer I don't expect to see it. It would have been a lovely promo to offer when the two titles first came out, maybe even throw in a free download of one for day-one buyers. Seriously. I've yet to see one VC/eShop release that rewards fans for picking it up day-one. Great work Nintendo.......I will buy your older games for that price as it's fair and great value. It's has taken SOOO long but the vc/1st party sales have started arriving I'm happy. I know we all want n64 and gc games but there seems to be some real effort going into the vc lately! I'd like this to come to NOA just for others as I have already picked up the NES games in remix 1 that are worth a hoot. Nintendo would have to pay me monthly rent for things like tennis, golf, or urban champion to take up space. Funny how some games have aged so well (Zelda, SMB) and others make me recoil in fear and sadness (sadness that I paid full retail price for a few back in the day). I don't live in Europe. If I did, then that Urban Champion discount sounds tempting!! @SavoirFaire I'd like it to come to NoA, but I know it won't. NoA is just sad now. We essentially get nothing other regions get now for promotions and special things now. @ThomasBW84 The 8-bit Summer sale actually happened in 2012. Or did they have another in 2013 as well? Pretty sure we only had one in 2012. Hmmmm I just might get Zelda and Excitebike then - see this is what I thought they should have been doing all along. Heck I only bought the Donkey Kong NES games because of NES remix! @ikki5 I know but the 8-bit Summer campaign was on 3DS in 2012. Not the Wii U. @Pichuka97 ok, I missed that one... either that, it wasn't in NA.... but I probably missed it. Ha! Urban Champion! I can't believe Nintendo is still trying to hock that game onto poor, unsuspecting gamers. It's not worth it even at 99% off! I'll probably get Dr. Mario depending on how high the discount really is. Isn't Mario Bros included in Super Mario Advance 3? @ikki5 Yeah but over a pretty small amount of time the USA can end up with enough of these games for free to make it so you have spent less. To be fair I'd still say promotions like this are very rare compared to the competition.